The Annie Awards are accolades presented annually by the Los Angeles branch of the International Animated Film Association, ASIFA-Hollywood since 1972, to recognize excellence in animation in film and television. Originally designed to celebrate lifetime or career contributions to animation, since 1992 it has given awards to individual films. Memberships in the ASIFA-Hollywood consist of three main categories: General Member, Patron and Student Member. Joining ASIFA-Hollywood is open to professionals, students and fans of animation, for a membership fee. Selected professional members are permitted to vote for the Annie. The 46th Annie Awards ceremony took place on February 2, 2019, on the campus of UCLA. In 1972, June Foray conceived the idea that there should be awards for animation as there were no awards for the field. With the approval of ASIFA-Hollywood president Nick Bosustow, Annie Awards ceremony was organized. The first ceremony was held at the banquet room of Sportsmen's Lodge in Ventura Boulevard in Studio City, Los Angeles, California. Max Fleischer and Dave Fleischer were the first to be honored by the first Annie Awards for creating the characters Betty Boop, Popeye and Olive Oyl, and for inventing the technique of rotoscoping. According to Foray, her husband Hobart Donavan suggested that the awards be called "Annie" since the awards are for excellence in animation. The first Annie Award trophy was given out in the second awards ceremony to Walter Lantz, the founder of Walter Lantz Productions and creator of Woody Woodpecker. The trophy was a brass prize shaped like a zoetrope and was made out of wood and plastic. The next year, Tom Woodward came up with the current design. 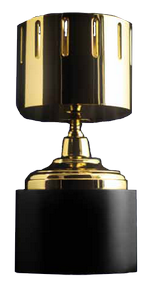 In 2008, the Annie Award nominees for Best Short Subject included two Walt Disney cartoons, a Pixar short, and two independent films: Picnic Pictures' The Chestnut Tree, and Don Hertzfeldt's short Everything Will Be OK. Official rules for the Annie Awards state that voting members must view all nominated achievements in their entirety before casting their ballot for a winner. Members are directed to view the nominated films on a secure website. When the online ballot launched on January 15, the two independent films were not included for voters to judge. ASIFA acknowledged this error over a week later, at which point all the votes were reportedly thrown out and the balloting system was reset. Voters were instructed to return and re-vote the category. "The Chestnut Tree" was now uploaded properly to the ballot, however Everything Will Be OK was again not included: this time, the online ballot only played a portion of this film's 17-minute running time to voters, abruptly cutting out in the middle of a scene. ASIFA again took several days to repair the ballot, but this time allowed voting to continue. By the time the ballot officially closed on February 1, Everything Will Be OK was only available to voters for less than 24 hours of the entire 18-day voting period. Even though ASIFA apologized to Don Hertzfeldt (who would eventually win the award for his 2015 Oscar-nominated film World of Tomorrow), they took no further action and carried on with the event, awarding the prize to the Pixar short Your Friend the Rat. ^ "ASIFA-Hollywood - History". ASIFA-Hollywood. Retrieved 2016-08-17. ^ "Why Don Hertzfeldt Probably Won't Win an Annie". Cartoonbrew.com. Archived from the original on June 16, 2008. Retrieved 2011-06-04. Wikimedia Commons has media related to Annie Awards. Annie Awards official site. Archived from the original on July 12, 2015.